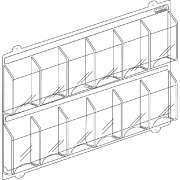 Literature Racks & Displays: Shop From Our Wide Selection! 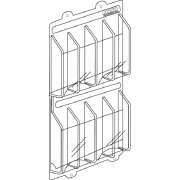 What is the best way to display magazines? 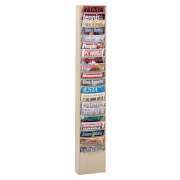 A literature rack keeps magazines neat, organized and within easy reach. At Hertz Furniture, we offer an attractive selection of styles for schools, businesses and public libraries. 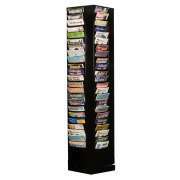 With our convenient literature displays, you can arrange periodicals in a neat and clearly-visible way. 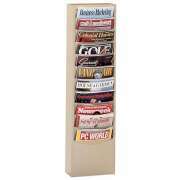 Wall-mounted magazine racks save on floor space and keep literature at eye level. 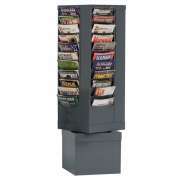 Store many periodicals in one place with free-standing and carousel-style displays. From newspapers to brochures and scholarly journals, we have just the storage space you are looking for to keep it all in order. How can I keep the magazines in the waiting room organized? 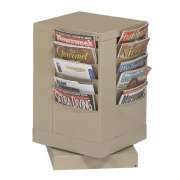 Tired of having unwieldy stacks of magazines piled up all over your reception area or library tables? Do your patrons and clients leave periodicals strewn all around the room? When magazines are left in piles, they can easily get knocked over onto the floor or collect dust and dirt. 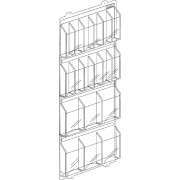 Literature racks are the solution you have been looking for. 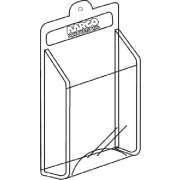 In a matter of minutes, you can easily slip each magazine into an individual compartment where it is clearly visible yet out of the way. When there is a particular space designated for periodicals, everyone is less likely to leave them on chairs and tables. 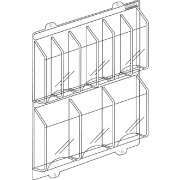 Whether you have lots of space to spare or you feel like you literally can&apos;t fit anything else in your reception area, we have magazine racks that will work well with your space. If you don&apos;t want to use up precious floor space, you need a wall magazine rack. We have options with various configurations and capacities, all of which can easily be hung up in a library, lobby or waiting room. 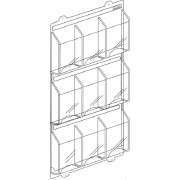 What kind of wall magazine rack should I get? 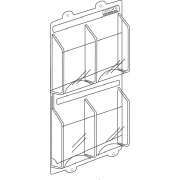 Wall magazine racks come in two configurations. If you want to fit as many magazines as possible in the space that you have, a waterfall design keeps the top part of the issue visible so you don&apos;t have to empty the whole rack to find what you are looking for. 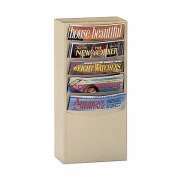 Literature racks are also available which provide a full view of each cover so featured articles and other special components of each edition can be seen. For those who have large rooms to fill and many magazines to display, free-standing carousel literature displays will make a great addition to any space. They have a high capacity so you can fit enough periodicals to pique the interest of all clients and patrons. With separate compartments and multiple sides, you can arrange literature by genre, issue or age level, making it easier for people to find what they like. 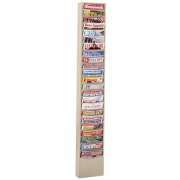 An additional advantage of these brochure racks is that the carousel design enables a person to stand in one place and view every magazine on the rack without ever having to move at all. How can you keep brochures organized? Magazines aren&apos;t the only literature that a company or school might want to display. Many agencies, practices and organizations like to advertise for upcoming events in the community or endorse particular services and establishments. 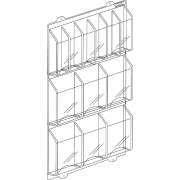 We have a number of great brochure displays with various compartment arrangements. 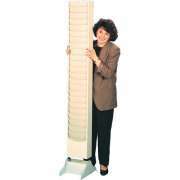 They can easily be mounted in a prominent position on the wall of a lobby or waiting area so people can gather information about anything that interests them. The clear plastic construction of our pamphlet displays enables patrons and clients to get a full view of what is being offered. Rather than having to pull everything out in order to see what is there, all brochures can be viewed without moving anything. Companies work hard to create appealing and informative brochure covers, so why not enable your clients to get a great view and appreciation of what is being offered? What is the best way to sort magazines and newspapers? When you want to keep your students up to date on current events, it is a good idea to have an accessible place for newspapers in the school library. Our newspaper racks have ten wooden newspaper rods, so you can ensure that everyone has the option of seeing a variety of perspectives. They are designed to keep newspapers in excellent condition, so many people can enjoy this wonderful source of information. A great magazine display can make the difference between a relaxed client and an impatient patron. At Hertz Furniture, we know how important it is to ensure that you have an organized and professional waiting room where clients won&apos;t mind taking a few minutes to sit down and peruse the contents of magazine racks. 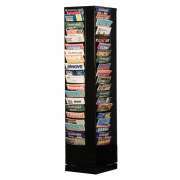 Whether you are outfitting a library, lobby or reception area, our attractive literature racks will promote patience and curiosity.